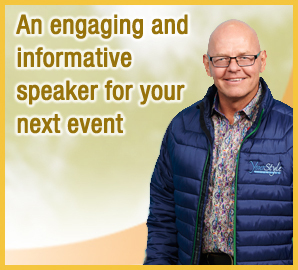 Is your company, organization, association or group looking for a speaker for one of your functions? Are you looking for an energetic, engaging presenter who can simplify even the most complex issues into bite-size, easy-to-understand pieces? Doug Buss, CFP, CLU and CPCA, is a 30+ year veteran of the financial services industry with a remarkable ability to make even the most complex issues easy to understand. A self-proclaimed “picture guy”, Doug’s knack for keeping things simple has made him one of the most sought after financial planners in Winnipeg. Doug’s book, Life Balance, has also garnered him praise and is the basis for his dynamic life enhancing presentations.